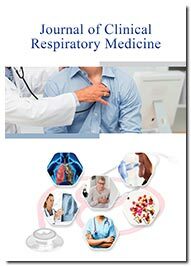 Journal of Clinical Respiratory Medicine is an international peer-reviewed open access journal aims to explore significant advances and new knowledge generated for the better clinical practice of respiratory medicine. The journal focuses on causes, management, diagnosis, therapeutic interventions, precautionary steps, epidemiology, pathophysiology, genetics and all other aspects of diseases/conditions that affect respiratory system including nose, throat (pharynx), larynx, windpipe (trachea), lungs and diaphragm. Journal of Clinical Respiratory Medicine publishes and disseminates top quality research in the form of research articles, reviews, short communications, case studies, commentaries, opinion articles etc. The articles submitted must be of interest to international audience involved in all respiratory subspecialties and other clinically-relevant fields including educators, researchers, students, healthcare professionals, pulmonologists, and respiratory physicians/clinicians. The journal follows double blinded scholarly peer review process where the received submissions are sent to the scrutiny of expert reviewers. Our highly reputed editorial board members make out the final decision for consideration of submitted works for publication. Authors can avail the Editorial Manager System for direct submissions online and tracking the status. Opioid induced respiration is a major problem. Compare permissive underfeeding enteral nutrition with stand feeding under enough protein intakes on mortality in critically ill patients: a systematic review and meta-analysis planning councils in the United States. Pulmonary arterial hypertension: are we close to the success?